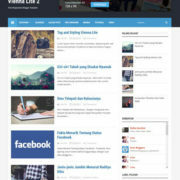 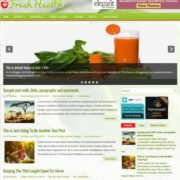 mSora Blogger Template is a 3 column semi magazine blogspot theme with fast loading and responsive design. 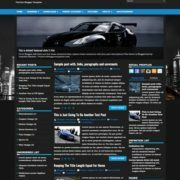 Loaded with tons of widgets and features it is a highly optimized theme, so that it performs extra ordinary in SEO and out class every other template in its category. 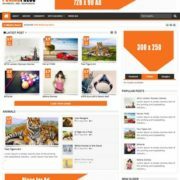 Best suitable for banking, news, job portal, archive, forum, authority, advertising agency, institution, movies, review, DIY, howTo etc blogs. 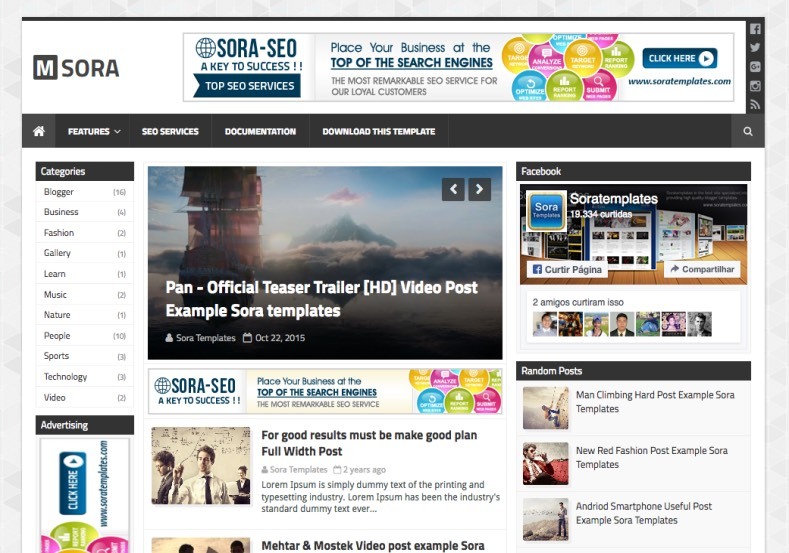 It contains extra space to hold more and more ads to generate much more income than before. 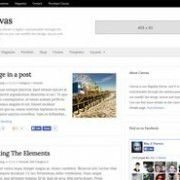 It also has some content based featured post widgets like recent post and random post to showcase your important content on home page. 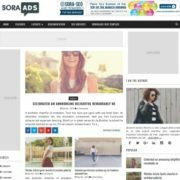 This theme comes in minimal and classic color combination of black and white with pattern image background and green as action color, all of these things are easy to customize through blogger template customizer. 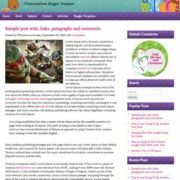 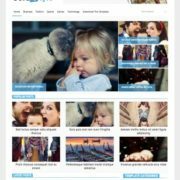 Slideshow, 3 Columns, 3 Columns Footer, 2 Sidebars, Left and Right Sidebars, Magazine, Green, Ads Ready, Technology, White, Clean, Minimalist, Seo Ready, Magazine, Free Premium, Post Thumbnails, Responsive, Social Bookmark Ready, Drop Down Menu, Fast Loading, Browser Compatibility, WhatsApp Sharing, Business.